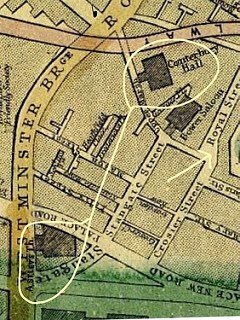 IF You stand at the junction of Royal Street and Upper Marsh in a forgotten backwater of Lambeth (see map below) you will be looking at the seedbed of two revolutions in entertainment, though there is nothing to show for it. Not even a single plaque. A few hundred yards to your left, roughly on the site of today’s Florence Nightingale Museum, stoood Astley’s the world’s first modern circus (photo below). The pioneering dimensions of its ring are still in use today. On your right a hundred yards away stood the Canterbury Music Hall. It was Britain’s – and maybe the world’s – first big music hall which spawned hundreds of imitators and to which can be traced the rise of today’s stand-up comics. The only reminder of it is the name of the apartment block which has taken its place, Canterbury House. 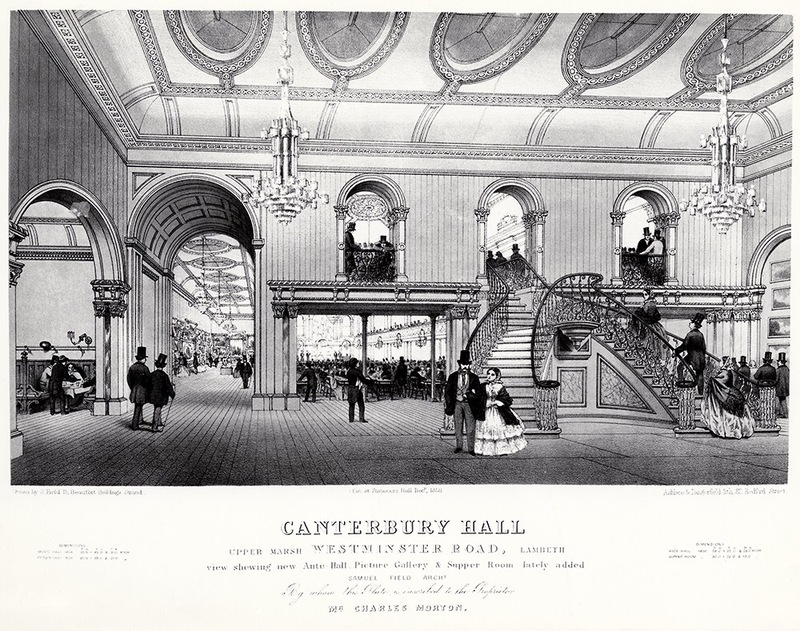 In 1849 Charles Morton opened the Canterbury Hall in an area full of gin palaces, ragged children and inebriated men. It started off in the back room of a pub. It was replaced by a larger grandiose music hall in 1856 able to take 1,500 people (and eventually double that). The 1856 theatre was built around the walls of the older version which was then demolished, reportedly, in a single weekend. Among the performers were Charlie Chaplain’s father, and numerous others including at one stage Chaplain himself. Blondin did his famous tight-rope act there. By this time it had a large entrance in Westminster Bridge Road. It also exhibited paintings and was dubbed “The Royal Academy Over the Water”. The building lasted until 1942 when it was bombed beyond restoration and demolished in 1955. Circuses in some form had existed for many centuries, the word itself is of Greek origin, and exhibitions of strange animals were held in ancient Egypt. 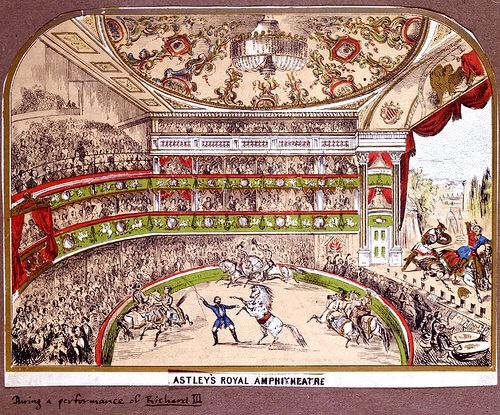 But Astley’s, was the world’s first modern circus with what is now a standard circle for the ring and was born here on January 9, 1768 when Philip Astley (1742 to 1814) pioneered it as a modern arena surrounded by tiers of seats to watch trick horse riding and other acrobatic exercises, with tumblers. tight-rope walkers and clowns added later. Astley reckoned that a diameter of 42 feet for the circus ring was needed so horses could move comfortably. Astley’s success soon spawned imitators. A rival, Charles Hughes, who had once worked with him, set up a Royal Circus a short distance from Astley’s ‘ Amphitheatre of Equestrian Arts’ in Lambeth. Hughes, who was the first to use the word “circus” in this context, took his troupe to entertain Catherine the Great in 1790 and is credited with planting the idea of circuses in Russia. Meanwhile John Rickets, another pupil of Astley, went to America and established a circus in Philadelphia. Later on, the US showman Barnum may have become more successful than Astley but there is no doubt who was the true architect of circuses. He established wooden ampitheatres around Britain and 18 in other European cities. He opened his first Paris circus in 1782 and is buried in the Pere Lachaise cemetery in Paris. Though Astley’s circus has long since disappeared he lives on in literature having been mentioned by Jane Austen, James Joyce, Charles Dickens and Tracy Chevalier. It is one of the attractions of London that it has so much history underground often ignored. Nevertheless, at a time when Britain’s entertainment industry is doing so well it is sad that that some of the key institutions that started it all are not better remembered. 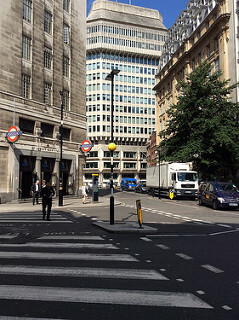 UNTIL A FEW months ago it was only possible to visit the very ordinary office block at 101 Lower Thames Street in the City on special occasions such as London’s Open Days. Now it is open at weekends with time-slots throughout the day. Not a lot of people know this yet. When I visited it yesterday I had two excellent guides all to myself. After an introductory talk they took me down a breeze-blocked stairway into what looked at first sight like a B & Q warehouse awaiting completion. Except that this structure was actually completed around 43 AD, shortly after Boudica’s ravaging of the City. It is the spectacular site of a Roman villa complete with the remains of underfloor heating and a bath house, preserved for centuries under four metres of earth. Water on an extremely hot floor created steam fired from a wood burning stove for the equivalent of a Turkish bath. The wearing of sandals was de rigueur unless you wanted to burn your feet. Among numerous other things, I was impressed with the way a piece of modern technology – a laser light pointer – can be used to explain the contours of ancient walls highlighting details that would otherwise have been missed. The main section of the remains was discovered by the Victorians in the 1840s when they were building the Coal Exchange, a handsome neo-classical building – and a cathartic contrast to the coal mines from which the black gold was extracted – which was demolished in 1962 despite the fierce opposition of John Betjeman and his conservationist colleagues. It is not the only, or even the biggest, Roman bath in London but is, for now, the most accessible. 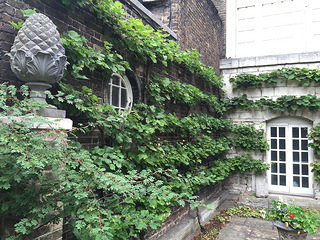 A much bigger one is on the site of the wonderful Clearly Gardens in Queen Victoria Street, near St Paul’s Cathedral. This is an idyllic hidden garden, complete with its own vineyard. 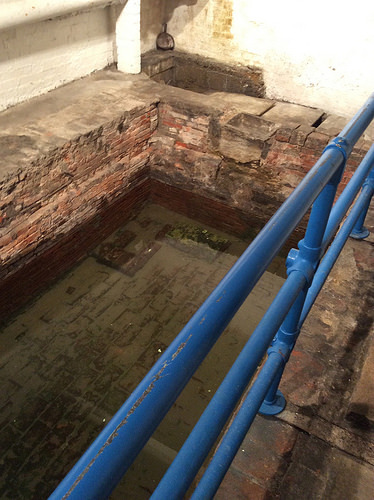 The main remains of the Roman bath now lie preserved but hidden and unaccessible under a nearby office block. But if you wander around the layers of the garden you can see memories of former times hidden among the bushes. 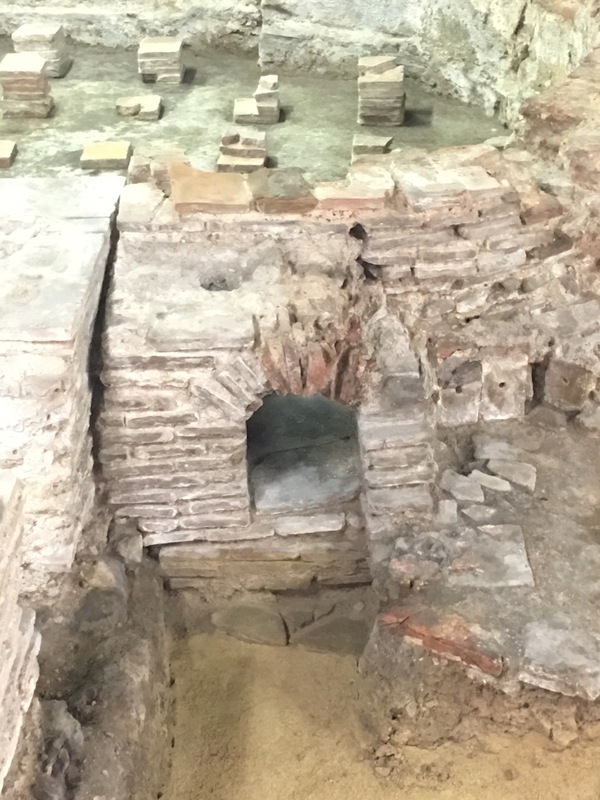 Other public baths have been found in Cheapside and other possible sites include Lime Street and the area around Cannon Street. 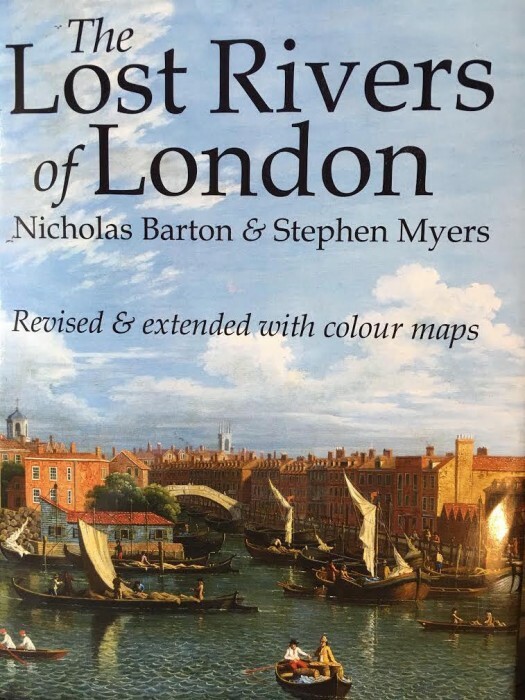 It is a sobering thought that the remains of an entire city many metres beneath the ground are gradually being uneathed in London, one of the most layered cities in the world. From the York Road end near Waterloo Station it looks like the tradesman’s entrance to Hades. Those of a nervous disposition, or suffering from Brexitphobia, may be better off using the other end of Leake Street in Lower Marsh where an embryonic urban garden presents a more gentrified vista. 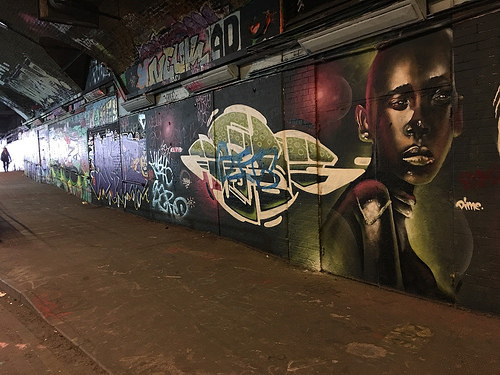 Either way don’t miss Graffiti Grove – or the Graffiti Tunnel as it is more prosaically known – whose regularly changing urban art ranges from the salacious to mind bending blizzards of colour that would enrich the new Tate Modern. The amazing thing is that it is still there at all as a semi-official gallery, owned by Network Rail, where anyone with a spray can is able to dare to overpaint an existing work by someone else. 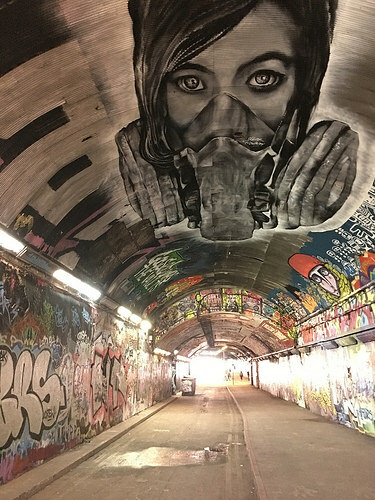 It hasn’t returned to the dizzy heights of 2008 when it was Banksyfied by an exhibitiion of the Bristol artist’s stencilled works but it still breathes a fly-by-night creativity under railway tracks herding unknowing commuters to their artless office desks. Legal graffiti still sounds a bit oxymoronic but it works well here and the tunnel has lost little of its freshness over the years and is still surprisingly little known. Sometimes when I amble through there are more artists than visitors. For what it’s worth it is rated the 256th most popular destination in London with 82 out if the 90 reviews rating it Excellent or Very Good. DURING Shakespeare’s 400th anniversary spare a thought for a London street normally associated with exclusive clubs rather than high culture. Walk down Pall Mall today you are denied entry to almost every building on the south side unless you are a member of one of the clubs. It is difficult to believe that in the late 18th century this street was a hive of artistic activity mainly around Shakespeare. It was triggered by the artrepreneur James Boydell who opened the Shakespeare Gallery in 1789 at 52 Pall Mall which soon contained 180 specially commissioned paintings depicting scenes from Shakespeare, many by established artists such as James Fuseli, Sir Joshua Reynolds and George Romney. It sported a large statue of Shakespeare (see above) which now resides at the bottom of Shakespeare’s garden at New Place, Stratford-upon-Avon. The gallery was free and was intended to direct British art to a more classical direction choosing rich literary themes instead of portraits. But Boydell also had a business plan. Like Hogarth earlier in the century he sold engravings of the paintings here and on the Continent with great success until the Napoleonic wars broke out, cutting off the Continental market, which led to his bankruptcy – and a fire sale of all his artworks in a lottery. On January 28, 1805, William Tassie, a London gem engraver, struck lucky. His three guinea ticket to the lottery won him the entire contents of the Shakespeare Gallery – over 160 pictures at the height of its fame.Tassie refused an offer from Boydell’s nephew Joshua to buy them back for £10,000 and they were sold at Christie’s for just over £6,000, way below their cost price. As a result the Boydell collection, which in its day challenged the artistic supremacy of the Royal Academy – which until 1780 had also been located in Pall Mall before moving to Somerset House – bit the dust. Many of the paintings disappeared for ever. But some have been retained in galleries and private collections many of which are on show at a special exhibition at Compton Verney to mark Shakespeare’s 400th anniversary. 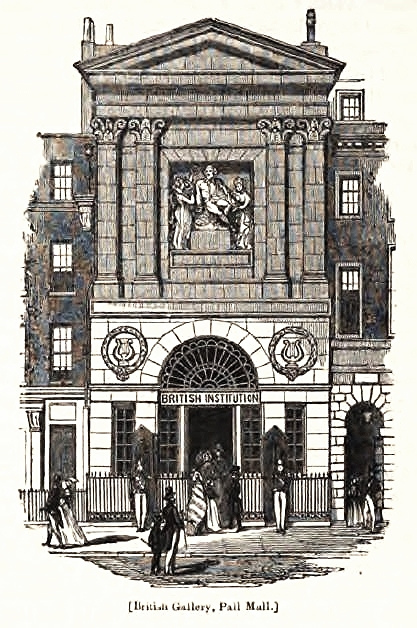 The Boydell gallery was but the biggest of a mini explosion of artistic galleries often featuring Shakespeare in Pall Mall at that time. In 1788, a year before the Boydell gallery opened Thomas Macklin’s Poets’ Gallery which showcased over 50 British poets including Shakespeare, opened to an enthusiastic response. 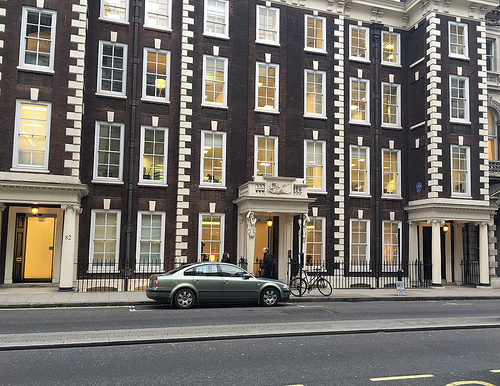 Meanwhile James Woodmason moved his New Shakespeare Galley from Dublin to Schomberg House at 88 Pall Mall in 1794 across the road from Boydell’s initiative which he copied by using illustrations and text employing some of Boydell’s artists. Among the works Woodmason commisioned were Matthew Peter’s Death of Juliet as she prepared for suicide, dagger in hand, and Fuseli’s depiction of Titania falling in love with Bottom from A Midsummer Night’s Dream. The Shakespeare galleries in Pall Mall must have left something in the air because years later in the 1840s after their closure Isambard Kingdom Brunel (1806-59), the great engineer, who was living in nearby Duke Street, commissioned paintings of Shakespeare scenes from some of the top artists of the day including Edwin Landseer and Charles West Cope. They were hung in his spacious dining room which came to be known as the “Shakespeare Room”. St James’s Square) there was another gallery, the Imperial Museum, (later the European Gallery) which showcased British and Continental paintings. There are still lots of paintings in Pall Mall but they are all behind the closed doors of the clubs. 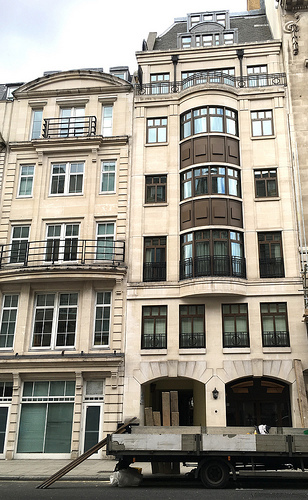 There is nothing, apart from the Schomberg facade (photo, right), to remind us that Pall Mall was once had a strong claim to be the artistic centre of London. CHRISTCHURCH GARDENS, the last patch of greenery in Victoria Street, looks decidedly undernourished as if it is expecting to be gobbled any time soon by a developer for yet more luxury flats. It is only when you look among the discarded tins and other detritus by the telephone exchange at one end to see a row of half-hidden tombstones that it starts to reveal itself as an historic churchyard and burial ground. Its best known alumni is Captain Blood, an Irishman and local resident, who nearly stole the Crown Jewels but managed to blarney his way out of execution and ended up with a pension in the Court of Charles 11. He was such a notorious conman that his body was dug up a few days after his death to ensure he was not still alive. (Photo courtesy of J McCarthy taken from a window in their former premises in Strutton Ground). 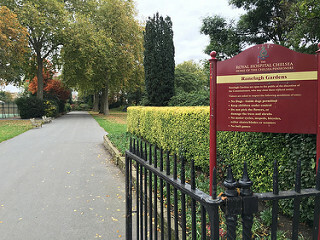 The churchyard is one of the last visible remains of Tothill Fields which once stretched from Tothill Street to the Thames at Vauxhall, apart from the 10 acres of playing fields at Vincent Square which was “enclosed” by Westminster School in 1810. But this space which once had a Chapel of Repose – built on the site of a much older 17th century church called New Chapel – and a burial ground which stretched under today’s Victoria Street was also the scene of two remarkable legacies of slavery – black and white. Here is buried Ignatius Sancho (1729 – 1780), an extraordinary African (below) who was reputably born on a slave ship and after working as a black servant in a rich household – a fashionable thing for the upper classes to do at the time – he was actively encouraged by the Duke of Montagu to educate himself which he did with relish. There is a plaque in King Charles Street, Whitehall, which I have walked under for decades without noticing. It records that there was once a grocer’s shop (right) at number 19 Charles Street (as today’s King Charles Street was then called and where the Foreign Office now stands) run by Ignatius Sancho who escaped from slavery in the 18th century to become a London celebrity and an admired writer, playwright and composer. He was feted by Dr Johnson, painted by Gainsborough and a correspondent of Laurence Sterne author of Tristram Shandy whom he encouraged to campaign against slavery. When a book of his letters was published on a subscription basis – today we would call it crowdfunding – the subscribers read like pages from Debrett’s. Sancho was also the first black African to have voted in England. But Christchurch Gardens is also the place where one of the most shameful incidents in England’s history took place. In the 17th century it was a burial ground – stretching across today’s Victoria Street – taking bodies that couldn’t be accommodated at nearby St Margaret’s. Samuel Pepys complained that demand was so high that “none but such as are able to pay dearly for it can be buried there”. After Oliver Cromwell’s victory at Worcester during the civil war an estimated 1,200 Scottish prisoners were buried here or in Tothill Fields after being marched in terrible conditions from the battlefield while others were sold as indentured labour – effectively, slaves – and sent to plantations in the West Indies and America. One example was Thomas Kemble, a lumber merchant from New England who ran sawmills in New Hampshire. He transported 274 Scottish Highlanders who had fought for Charles 1 to America as slave labour. This patch of grass remains as one of the very few historic memories of the surrounding area that have escaped the clutches of developers. One other is nearby Blue Coat School. Christchurch Gardens may soon be confronted by several 20-storey plus blocks of flats and offices on the other side of the road where New Scotland Yard now stands, if plans go ahead. It may be only a matter of time before the ugly telephone exchange on the northern side of the gardens is redeveloped on a bigger scale. But, hopefully, Christchurch Gardens will remain to remind people of a very different world. If they notice it. 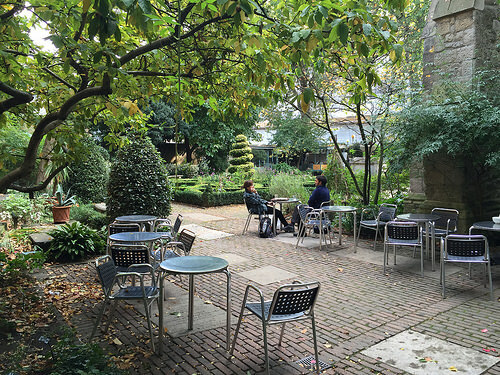 THE GARDEN MUSEUM and its amazing café – my favourite place in the whole of London to have a quiet lunch – is closing on Wednesday until 2017. I had my last nostalgic meal there today (it is adjacent to Lambeth Palace) and mourned with others over its wanton destruction. OK, not destruction – reconstruction. Much of what they are doing is admirable. They are extending the world’s first garden museum – at the place where John Tradescant, the father of English gardens who died in 1638 is buried – into a much classier operation within the deconsecrated church of St Mary’s where the museum is housed. This includes bringing back historic artefacts from the Ashmolean Museum in Oxford which were transported there from Tradescant’s ark or museum in Lambeth after his death in rather dubious circumstances. All that is good. But the garden! This is a garden museum for heaven’s sake dedicated to gardening. Progress will be achieved by greatly shrinking the size and nature of a very special place, one of the few oases of tranquility left in central London. One side of the garden is to be enclosed by a new café which will open on to a much reduced area of garden on one side and the main road on the other. 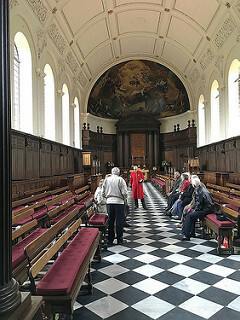 This replaces a tiny galley inside the church from where a small team produced lovely vegetarian meals which helped to get it declared the sixth best museum cafe in the world by an American Gourmet magazine in 2012. It wasn’t applauded because it had the grandeur of other contestants like the Michelin starred Nerua at the Guggenheim, Bilboa but because of its simple delicious home made food and idyllic garden which will now be enclosed on all four sides by intruding extensions, not the best advertisement for a museum dedicated to garden design. I took my last melancholic look at the garden today (above) with its banana trees, mulberry, and an unusual tree of rosemary which watch over the graves of the Tradescant family and Captain Bligh of Mutiny on the Bounty fame. They are among 26,000 souls buried there including six and a bit archbishops of Canterbury (don’t ask . .). I shall never see it or its like again. I pray I will be able to eat my words, but I doubt it. The graves and knot garden will remain to be gawped at rather than wandered among. Other than that a unique patch of London will be gone forever, never to return to its former glory. When Francis Bacon wrote: “God almighty first planted a garden” it was in 1627 some 600 years after the creation of the nearest thing to a God-created garden we are likely to see in England. And it us still with us. The garden fashioned by the monks of the abbey of Westminster – or to give it its proper name, the Infirmerers’ Garden – is not only the oldest cultivated garden in England but it is the same size as it was in the 11th century apart from a parcel of land at the north-eastern end which was confiscated by Edward 111 in 1365 to build the Jewel Tower (which is still there). We know this because the medieval walls along the eastern and southern sides are still intact as is the boundary wall on the other side. The garden still provides an oasis of calm at the heart of a busy city only yards from the cacophony of the Houses of Parliament. It remains calm partly because so few people know about it. Even when they do, they have to find how to get there (from the north-eastern end of Dean’s Yard) and negotiate their way past a red-robed official who is there to stop tourists gaining a back door entrance to the main part of the Abbey and avoiding the £18 entrance fee. The garden is free – and also gives entrance to the cloisters and museum – though only on three days a week, usually Tuesday to Thursday. Once in, it is easy to go back in time to conjure up what it once contained: an orchard, a herbarium dating to 1306 (the main reason for the garden), a dovecote, a cider mill, ponds, fruit and vegetables and even a vineyard which must have been sizeable because in 1310 one man was hired for three days to “repair the vines”. 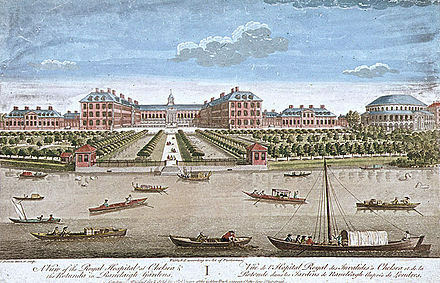 There was also a channel leading to a mill at the southern edge of the garden,from which the word Millbank is derived. If you were to dig in the garden you would soon come to some of the deposits which formed Thorney Island, the eyot between the Thames and the River Tyburn on which the Abbey was built. 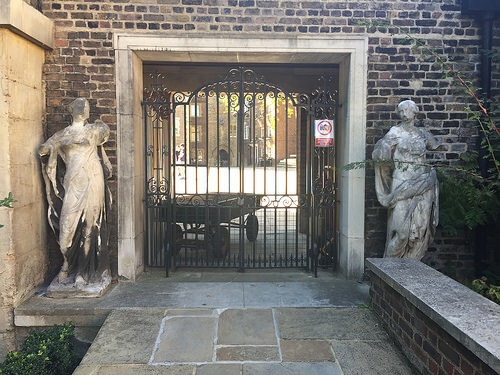 The statues guarding the gate to Westminster School. Today’s garden has a fig tree, plane trees planted in 1850 and two handsome mulberry trees (one black, one white) at each end of the garden. Either side of the stone gateway leading to Little Dean’s Yard (part of Westminster School) there are two stone angels – reputably by Grinling Gibbons and Arnold Quellin which once graced the Queen’s Chapel at the other end of Whitehall Palace where the Ministry of Defence building now is. 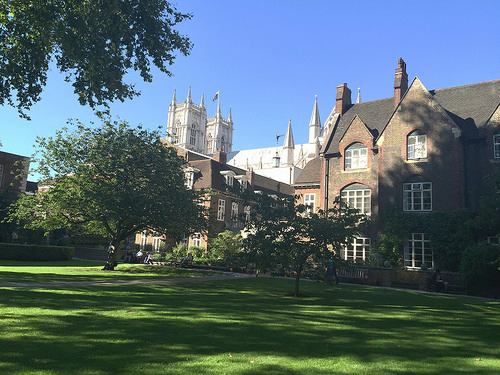 There is a wealth of detail about the garden in “Westminster Abbey: The Infirmarer’s Garden” by John H Harvey. But there is no substitute for going there to experience a curious meditative calm, sitting on a bench contemplating over a thousand years of religious and political history. OVER AT LAST. A few days ago I came to the end of my self-imposed retirement task to walk from Trafalgar Square to Margate – without crossing a road. 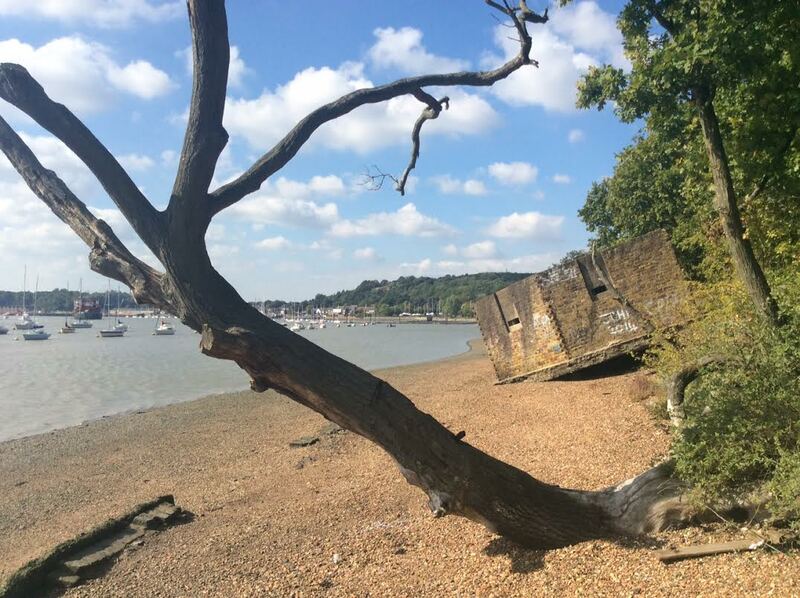 The last leg was from Rochester on the Medway to All Hallows on the north Kent coast, hugging the Saxon Shore Path where possible and passing through places as varied as Upnor, the beautiful castellated village and the brutalist Isle of Grain power station. I did the walk in a pincer movement coming fom London to All Hallows in one direction and Margate to All Hallows from the other (not at the same time!) because I feared that walking around the Medway estuary might prove my undoing. I knew that if I was thwarted there I would not have had the willpower to continue to Margate. It has been a marvellous experience, seeing parts of England I would never have chanced to visit in ordinary circumstances. I chose Trafalgar Square as the starting point because it is the centre of London from which official distances are measured. As soon as I worked out that it was possible to go underground from Trafalgar Square to Charing Cross station and then directly across Hungerford Bridge to the other side of the Thames I realised that there were no obvious limits to how far it was possible walk without crossing a road. It is a unique attraction of London that you can walk for miles along the south bank without encountering any roads. My first experiment ended up over 20 miles later in the Lee Valley with me exhausted and – literally- walking around in a circle. After I had done Trafalgar Square to the Millennium Dome and then Trafalgar Square to Islington (both trips with companions to check me out) I decided to do one final walk to the bus shelter in Margate, chosen because that was where TS Eliot wrote much of The Waste Land and it seemed an iconic finishing post. to be composed entirely of lovely listed buildings. It was visited both by Charles 11 (seeing a friend) and James 11 (arrested fleeing the country). Unspoiled Whitstable with its beach-based fish restaurants was a total delight as were mile upon mile of seashore pathways with not another soul in sight. The only hazard was unexpectedly coming across a gang who had stolen some motor bikes and were leaving them abandoned or burning in the fields. All Hallows, on the Hoo peninsular in a remote corner of Kent was a revelation. It has twice avoided being in the centre of enormous developments. Plans were at an advanced stage nearly a hundred years ago to turn it into the biggest seaside resort in Europe, bigger than Blackpool. More recently it would have been right in the middle of Boris Johnson’s plans for an estuary airport. To have escaped two such vast reconstructions is an achievement in itself. I think the inhabitants of All Hallows are happy to continue to live in relative obscurity, at least until the next grandiose plans come along. I did all this because I love walking and having started to find routes that didn’t involve crossing a road I wondered how far I could get. In principle there is no reason why you couldn’t walk around the whole of England and Scotland and end up in Trafalgar Square. Be warned, it can be boring as when you have to walk around estates and industrial areas before rejoining the main route only a few hundred yards ahead just to preserve the integrity of not crossing a road. I didn’t consciously cross any roads except the northern entrance to the Medway Tunnel where pedestrians are strictly forbidden. Walking is the ideal way to travel as, unlike cycling which gets far more publicity, you can look around you and stop and savour buildings and actually talk to people. And, of course, it is good exercise. Transport for London has a statutory duty to promote walking though I can’t recall Boris ever saying a word. If candidates for the Mayoralty of London embrace the idea of opening up walkways in central London, my vote almost certainly awaits them. PINEAPPLES, ever since Christopher Columbus came across them in Guadeloup in 1493, have been a symbol of hospitality and wealth. Nobles were prepared to pay the equivalent of £5,000 apiece for them to impress guests at their dinner tables. 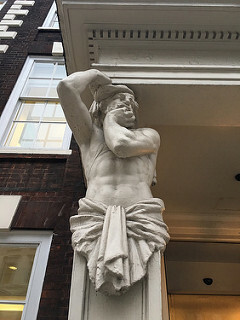 Which may help to explain why they have become hidden symbols of London as a welcoming city – well, until recently . .
Once you see one you start seeing them everywhere. 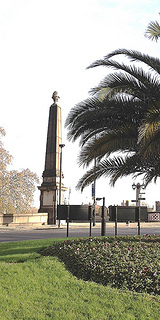 The first I came across – on the top of the four obelisks at either end of Lambeth Bridge – I thought were a one-off tribute to John Tradescant, the seventeenth century gardener and botanist who is buried a few yards away in St Mary’s churchyard, Lambeth (now the Garden Museum). He is credited with bringing the first ones to England. 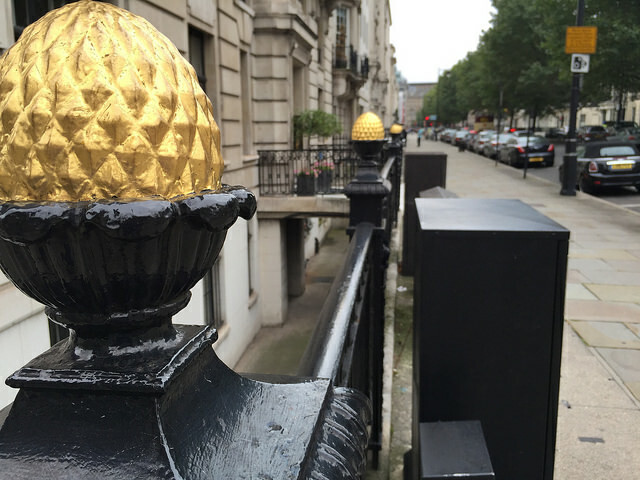 But look around and you are seldom far from a stone pineapple in central London. A few hundred yards from Lambeth Bridge in Smith Square the church of St John the Evangelist sports a number of pineapples on its spires. 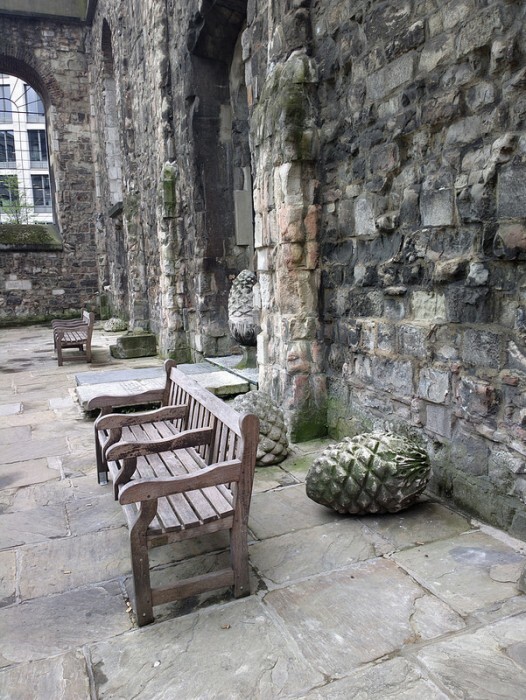 If you look up at the two towers on the western side of St. Paul’s Cathedral you won’t see a cross or a statue but a pineapple. There is also something that looks a bit like a pineapple on top of the dome itself. Christopher Wren seems to have been very partial to them as he also put them on his (war-bombed) Christ Church in Newgate Street (above) where they are currently adorning the ground like discarded sculptures and maybe a reminder that London is becoming a less welcoming place to strangers than it once was. Evangelists for the pineapple point out that Norman Foster’s iconic office block overlooking St Paul’s actually looks more like a pineapple than a gherkin. They have been campaigning for a change of name. One of my favourites is in the churchyard of St Pancras’ Old Church (above) where Sir John Soane, the architect, had a pineapple plonked on top of the tomb he designed for himself which became the inspiration for Giles Gilbert Scot’s iconic red telephone box (without the pineapple). 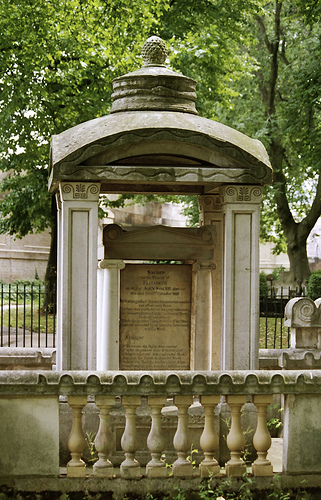 It is, incidentally one of only two Grade 1 listed tombs in London. The other is that of Karl Marx in Highgate cemetery. You can view more at pineapples here.There is even an abbreviated map to show you around. 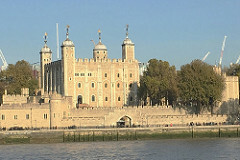 Eventually, the London County Council gave up its attempts to prove that construction of the building was illegal by making sure that it would never happen again. In an Act of 1890 the maximum height of new buildings was to be 90 feet – later reduced to 80 feet in the 1894 Act. Queen Anne’s Mansions continued to be a paradigm of ugliness in the early 20th century. 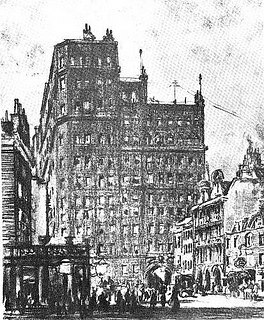 A drawing of “one of the most inexcusable buildings in modern London” (see above) was included in 1905 in Henry James’s English Hours. Of course, one solution was to live in the mansions so you could get its wonderful views without having to look at the building itself, a solution adopted by many people including MPs who railed against it in Parliament.The mansion block lasted until the 1970s when it was pulled down and replaced by a much bigger and if not uglier, then certainly more brutalist building, the new Home Office, designed by Sir Basil Spence (above, left). Whether, in the long term, the mansion block was a hero or villain depends on your point of view. It was almost universally reviled but the reaction to it kept London’s skyline much lower than would otherwise have been the case. Well, until recently. 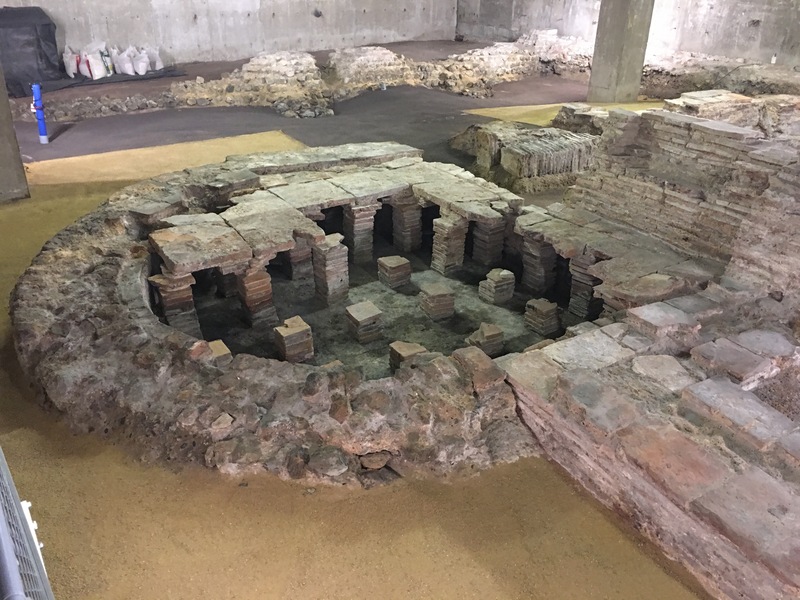 IN LONDON OLD AND NEW published in 1878 Walter Thornbury described the Roman Bath as one the “few real and genuine remains which date from the era of the Roman occupation of England”. 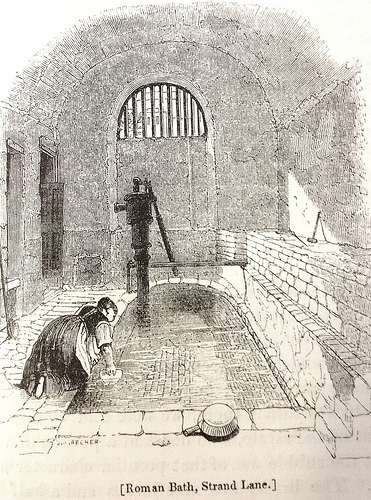 Charles Dickens is believed to have taken a cold dip in one of the two fashionable baths and, if he didn’t, he certainly sent David Copperfield there for “many a cold plunge”. That may still be true today even though London’s population has soared because the bath (above, left) – it’s not Roman at all, by the way – is an orphan among London monuments. It was bought by a reluctant National Trust in 1947 on condition that someone else put up the money (Montague Meyer, a timber tycoon) and someone else looked after day-to-day management, a task that today falls to the parks department of Westminster Council where it is probably not their highest priority and only open to the public on special occasions. It is rumoured that King’s College which owns surrounding properties wants to sell. I tried to get near it yesterday for a photograph but the approach was locked up like Fort Knox. 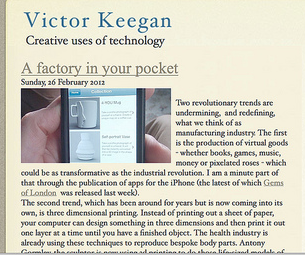 Things may now be changing thanks to the digital revolution. 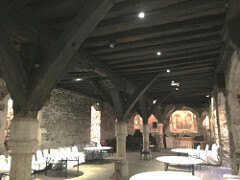 Kings College is collaborating with the National Trust to add virtual layers, including 3D modelling, on a computer which would integrate the present bath, including the second one currently hidden, with the memories, myths and inter-connections of the past which are necessary to understand its place in history. This would include the role of water in restoring bodily fluids and the social exclusion of being inside the walls of the adjacent Somerset House where water was plentiful with the situation outside where people were scampering for it. Interactivity between the bath and other things gives rise to the interesting thought that Six Degrees of Separation may apply as much to buildings as it does to people like Kevin Bacon. 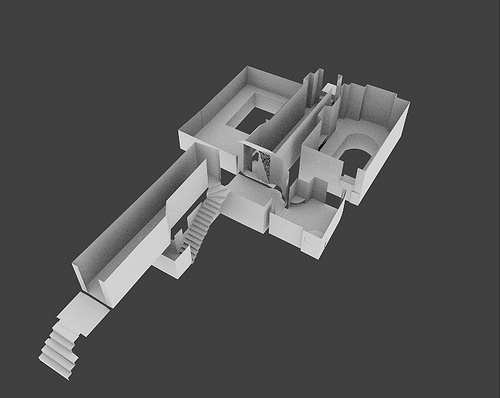 The 3D model, by Emma King of King’s College, enables you to see the second bath which can’t be seen even if you gain access to the first one which is occasionally open to public view. 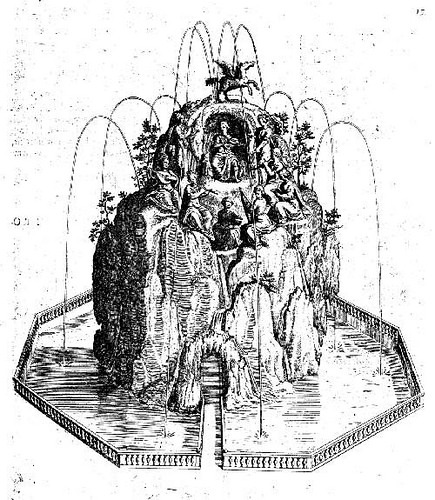 Fascinating research by Professor Michael Trapp of King’s College and a colleague shows that, although it was a cold bath for many years with some of the bricks dating back to the 1550s, it was reconstructed as a cistern providing water for an elaborate 30 feet high Mount Parnassus (or maybe Mount Helicon), fountain built in 1612 by James 1 for his wife Queen Anne of Denmark at the eastern end of the grounds of Somerset House, now part of the King’s College campus. As the 1615 engraving shows it was on a grand scale with manifestations of the four great rivers of England, including the nearby Thames. 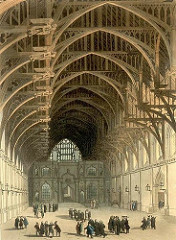 The National Trust is rather short of historic buildings in central London and its involvement in bringing digital techniques to augment the experiences of the “Roman Bath” project and Benjamin Franklin House near Trafalgar Square are an attempt to make up for this by using virtual techniques to conjure up the associations of the past. CYCLING gets enormous publicity in London. 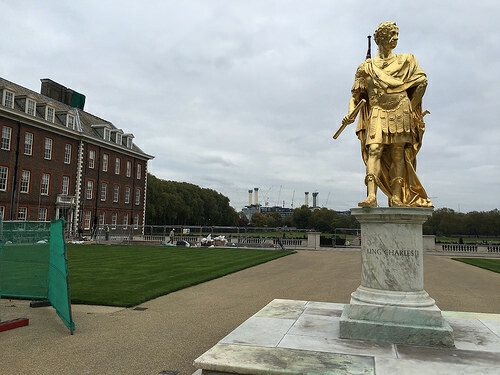 Walking is hardly mentioned at all yet London is arguably the most walkable capital city in the world as I have discovered doing my – only slightly barmy – walks from the centre of Trafalgar Square without crossing a road. Among destinations so far I have got as far as Islington, and the Millennium Dome accompanied by witnesses and the Lea Valley (without witnesses). But the most ambitious – Trafalgar Square to Margate – is still a work in progress. It is in theory 9/10ths complete but the final tenth is the most difficult bit and as it is possible I may not complete the journey it might be wise to give a progress report. 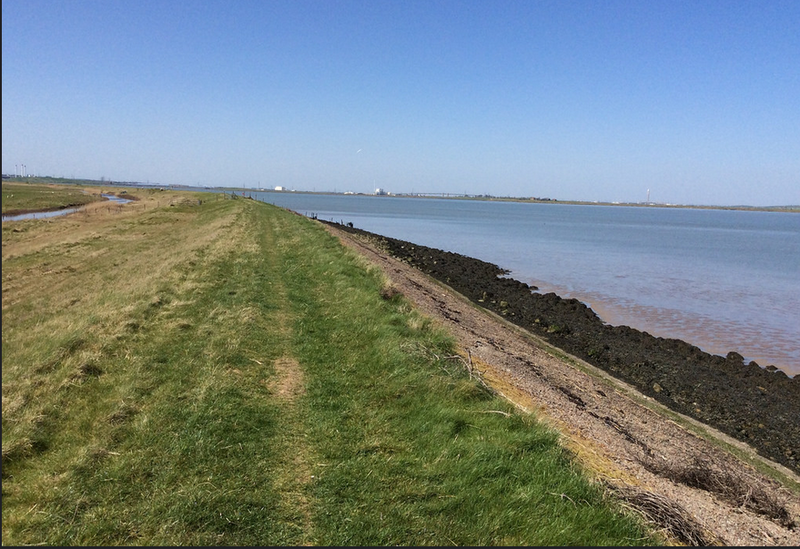 Knowing that the dual estuaries of the Medway and the Swale were the likely sticking points I did the walk in a pincer movement, walking from London to Margate and from Margate to London hoping to meet myself in the middle. It has been an exhilarating experience opening up vistas of my own country hidden from past experience. From the London end I hugged the romantic remoteness of the Thames estuary past Greenhithe, Gravesend along the Dickensian coast ending with a desolate walk of miles and miles to All Hallows without passing or being passed by a single soul. All Hallows, a village on the Hoo peninsular in remote Kent was once planned to be the biggest coastal resort in Europe outstripping Blackpool. It never happened. From the Margate end I started from the bus shelter overlooking the sea where T S Eliot wrote much of The Waste Land through some lovely resorts like Herne Bay and wonderful shell-soaked Whitstable that I inexcusably hadn’t visited before thanks to a myopic preoccupation with France for holidays. I managed to circumnavigate the Swale Estuary but as the marshland of the Medway loomed optimism began to fade. I stopped a few days ago at Upchurch having taken about 12 miles to walk a distance of a few miles as the crow flies from near Swale station. It looked as though I would have to cross a road so next time I will have to retrace my steps and find another way. When you look at the map above it doesn’t look far to bridge the gap between All Hallows and Upchurch as the crow flies but I walk not fly like a crow. Succeed or fail, it has been an unforgettable experience which I hope to come back to at greater length.